SpecVet has the ability to create new orderable items to be accessed for each patient through the patient screen under the "Orders" Tab. To create a new orderable item select the "Setup" tab from the Home screen. How do I add a new Client and Patient? How do I create a visit? I can't add the Order I need! Can I Merge Duplicate Patients? 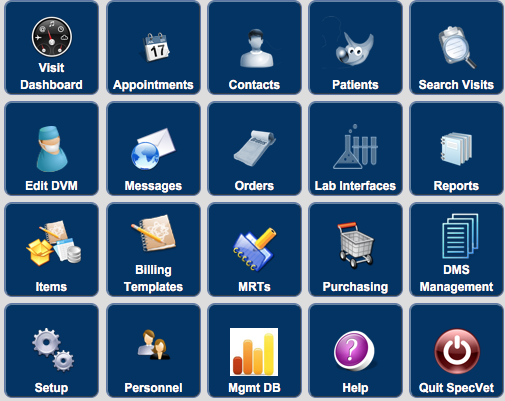 How Do I Remove a Patient From The Dashboard After Discharge?